Larry is the Chief Executive Officer of Serenity House, Inc. They have been treating alcohol and other addict since 1972. Recovery Dynamics was developed as a necessity to treating a group of people at the same time in a selected time frame. The method had to be simple, direct and in a sequence in order to educate. The author of Recovery Dynamics and founder of Serenity Park, which is the flagship of the model, the late Joe McQuany would be pleased, and honored as I am to play a small part in this endeavor. The method we have developed is used in at least 40 different States in the U.S. and five countries. It has been my pleasure to help carry the recovery messages to Ghana in 2011 and 2013. In Ghana I found recovery to be in its early stages of development but I also found fertile ground for recovery. All of the players are working together to overcome the scourges of addiction. 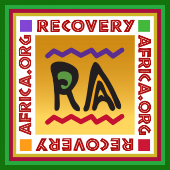 I am on the board of RA and am prepared to work as needed in order to share successes in the treatment of addiction in the United States and to learn from approaches in Africa.